Research scientist Anthony Samsel has confirmed that glyphosate, a key active chemical in Monsanto’s herbicide Roundup®, has been found in most vaccines! In this video, we hear Dr Samsel reciting his findings. One of the most important biochemical reasons for getting to the ‘bottom’ of the glyphosate fiasco being perpetrated upon U.S. and global citizens by the chemical and agricultural industries is that glyphosate is supposedly ‘safe’! Nothing is further from the scientific facts. Not only are humans exposed to glyphosate from numerous sources, e.g., herbicides, pesticides, sprays, GMO-crops/foods/ingredients in processed foods as RESIDUES, we now have confirmed scientific research and numerical data that glyphosate is present in VACCINES, which are injected into infants, toddlers, teens, and adults? Compounding the above science is the fact that no one at the U.S. CDC/FDA even is considering the most elemental scientific theorem: chemical interaction, e.g., vaccine ingredients and giving nine vaccines at one time! In high school chemistry aren’t students taught the importance of chemical interactions, especially when mixing several chemicals in a laboratory beaker? What can happen? An explosion! A similar chemical reaction occurs within the human body — the largest living, working test tube on earth, however it causes adverse health effects, not an explosion. And yet those who should know how science and chemicals work synergistically continue to pollute the human organism with more and more toxins, including nanoparticles which also are in vaccines! The fact that those chemicals are designed TO KILL indicates the harms they can do to any LIVING organism, regardless of exposure or dilution! There are some man-made chemicals that can be diluted to the ratio equivalent of a whiskey-shot-glass of chemical to a large swimming pool of water and still be deadly! Why there are so many toxic chemicals deliberately placed into vaccines defies my knowledge of science, medicine, nutrition, research, and human empathy on the part of those who are supposed to be ‘protectors of health’, the medical profession, i.e., doctors, nurses, researchers, and the pharmaceutical industry. Granted, there are some medical professionals who do not partake in the poisoning of children and expose the chemical horrors of vaccines but they are vilified, even some supposedly may have been “offed” for their expository work. Now we have more and definitive confirmation that glyphosate is in most vaccines that are given to infants and children. What more proof do we need for Congress, including the President of the USA if black lives matter, to demand and to perform an independent, thorough investigation (and/or criminal trial) with outside independent researchers testifying — not Big Pharma’s lackey scientists — to get to the bottom of why so many children are being chemically abused — legally too! — and why humanity’s future generations are being deprived of life, liberty and the pursuit of happiness. What’s happened to the Nuremberg Code ? Everyone talks about and demands their “human rights” , however, the most fundamental of human rights, i.e., not being poisoned daily [air, water and food] or by mandatory vaccine injections, are not being addressed and guaranteed by anyone. Why? 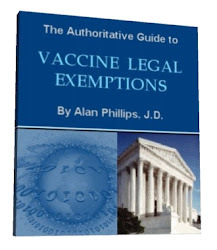 Shouldn’t we make that a primary issue and right, especially in view of the CDC’s proposed rule to forcefully place citizens into quarantine and receive vaccines ‘irregardless’ with the CDC’s self-assumed rule making now that we know glyphosate is in vaccines? 18 Comments on "Another Vaccine “Bombshell” Glyphosate – Think Monsanto’s Roundup – Confirmed in Most Vaccines"
Thank you Catherine & Dr. Samsel. Very damning that the highest levels of glyphosate were found in the MMR shots. Andrew Wakefield will be even further vindicated. This study alone should be able to stop any mandatory shots as the vaccine companies can only be sued if they are negligent & dishonest about the product. Smoking gun here. Hope you have this info stored in many safe locations & please stay safe. It’s not contamination. It’s an ingredient. Yes like Fluorosilicic (Hydrofluorosilicic) Acid: The Silent Killer in Drinking Water. Yes my government loves me, yes my government loves me, yes my government loves me, the main stream media propaganda and brainwashing told me so. Yes, an ingredient thats been proven by Dr. Stephanie Seneff at M.I.T. to cause autism and multiple other health problems. You can see all her research proving this on her website, just google it. Dr Seneff is a computer scientist with expertise in automated searching of databases and artificial intelligence, but no background in biological research that I am aware of. If you are going to cite her as proof of the cause of autism, you’ll need to provide some evidence and logic. I’ll tell you what, autism has exploded after the early 90’s. We’ve went from 1 in 10,000 to 1 in 85 in the past 20 or 30 years and at the same time we’ve went from a few, maybe 6 to 8 total, infant vaccines to over 26 in that time before the age of 2. These injections of toxic soup using live viruses, heavy metals and adjuvants that are extremely damaging for diseases that most babies wouldn’t come in contact with for years OR the diseases are uncomfortable to deal with, like measles, mumps or chicken pox, but most (over 95% or more) children get over without any lasting effect, except for a lifelong NATURAL immunity to them. So, IF it’s NOT the vaccines, and I don’t believe that for a minute, then what is it? Until we figure that out, then stop with the juggernaut of live diseases incased in toxic sludge to “protect” babies from diseases that are either fairly harmless or they’re not likely to come in contact with until much older. Oh gosh, how prophetic and ingenious of you. How has the world existed this long without your wisdom and insight? Thank you so much for being so vigilant on the proper semantics of the English language. We all know now that poison called by any other name makes it safe. Another stunning example of the Agenda 21 mind-set that is enforced by the alien/military/industrial/complex in its bid to depopulate the planet. Coupled with weather modification and other Terra-forming paradigms; our extinction is eminent and a new home for the “Others” is evolving. Vaccines, the CDC, the AMA, the FDA and CONgress are all complicit and have brought more disease and death into this world than anyone will ever know. They should all be shamed and stoned, but thankfully Doctors like Catherine are beacons for the entire medical system to strive to emulate. Bless you Catherine and all who bring the truth. Congress- and every person –do your job and remove this from the shots to our children. this stuff will effect their health in the wrong way. We all know that he powers want to depopulate the people so , congress we will be watching to see if you jump on this with both feet!!!!!!!! They need to jump on it with a baseball bat. These titans KNEW since they bribed for the income tax. These global parasitical vampires of death need to be trialed before the world publicly and if not death given to them, life in prison cleaning laundry of the sick and vomitous chemo patients. Well there are those who want to kill of some of humanity, and to them this is one of the ways to reduce population, other than wars, Is anyone going to have the guts to drag out into the open the heads of these companies???????? These globalist monsters can do what they want yet we are stupid for using the drugs. You do not need man made poison nature is full of plants that can help. If you want to survive then do not eat the fast food rubbish whish has no nutrition. There are many technical issues intertwined here. Vaccines are made with plant or animal materials, which are the source of the residues in the material. The activity of Glyphosate is to replace metal, which are an essential part of proteins, a function known as chelation. This function usually kills the protein, which is the mechanism of herbicidal effects on plant roots. If not killed, the proteins are damaged in some unknowable way. The mechanism is exacerbated because vaccines are injected, and the material is designed to interact systemically with our immune system. That minuscule amount of damage gets amplified as the protein reproduces in the blood stream . . . as vaccines do. Some vaccines might be simply made ineffective, which could explain plagues among people who had been vaccinated. Other batches devolve into a random molecule that can reproduce as designed, but creating a spectrum of symptoms. And most vaccines are not damaged at all . . . but millions of autistic patients will never know that. 1) levels of measured contamination are too low to cause a problem. Far higher glyphosate exposure occurs from foods. And NO, the fact a vaccine is injected does not make a difference because oral absorption of glyphosate is about 30%. 2) The testing method was ELISA, which WILL produce false positive results unless it is validated for use with vaccines. And the ELISA tests were not developed for use with vaccines. So, these tests are unreliable. Specifically, the tests are almost certainly the result of “non-specific binding” to proteins and other biological materials in the vaccines. Thats why the MMR vaccine tested the highest. So, these tests do not actually show glyphosate in the vaccines, and even if they did, it would not be enough to cause a problem. Vaccines activists are, once again, making themselves look stupid by promoting this junk. Learn how to make real scientific arguments and evaluate scientific evidence. This is not it. This was debunked some time ago as the analysis was done using inappropriate methods (competitive ELISA) and neither Seneff or Samsel have credible scientific standing in this discipline. Actually, neither Seneff or Samsel were actually involved in the lab work, this was just more Zen Honeycutt, Moms Across America silliness.